Often called change can mixers, many industries rely on the use of planetary, double planetary or multi-shaft mixers to process their materials. Planetary Mixers utilize a stationary bowl and multi-speed mixing tool which rotates on its axis and also rotates around the mixing bowl. Double Planetary mixers operate on the same principle however have two mixing tools rotating on their axis and also moving around the bowl. 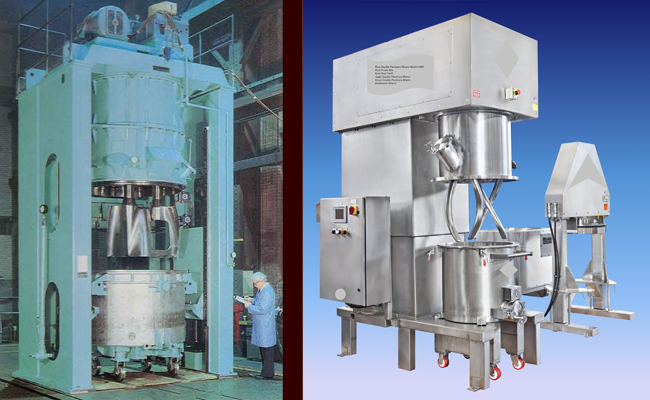 Double planetary mixers from Ross, Myers, Jaygo, Premier, Inoue, and IKA can be equipped with jacketed bowls for heating or cooling or vacuum covers which allow for de-airing of materials and vacuum drying. 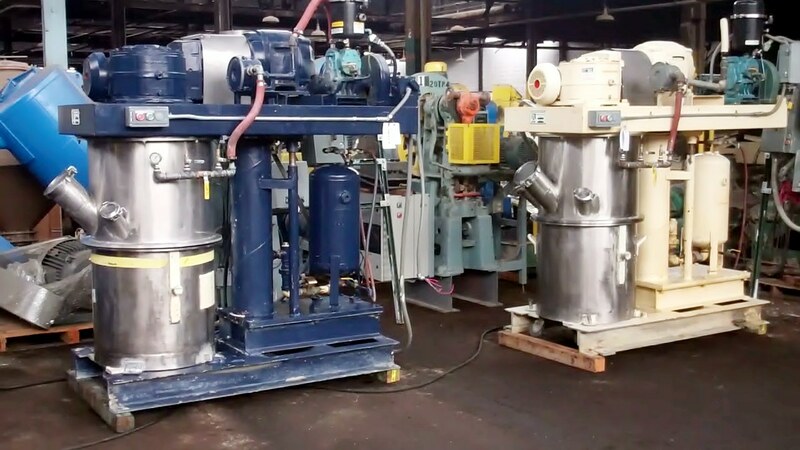 Detroit Process Machinery buys used and surplus Ross Mixers HDM, PVM, PM Models, Jaygo Mixers, Premier Mixers, etc. Contact us with any units you may have for sale.